Spending time with Imboden, it’s clear that he’s passionate about everything he’s involved with, including his city, activities and—of course—the beer he brews. It’s no surprise that he is doing everything he can to add value to the beer scene just a short 25 minutes up Parley’s Canyon. 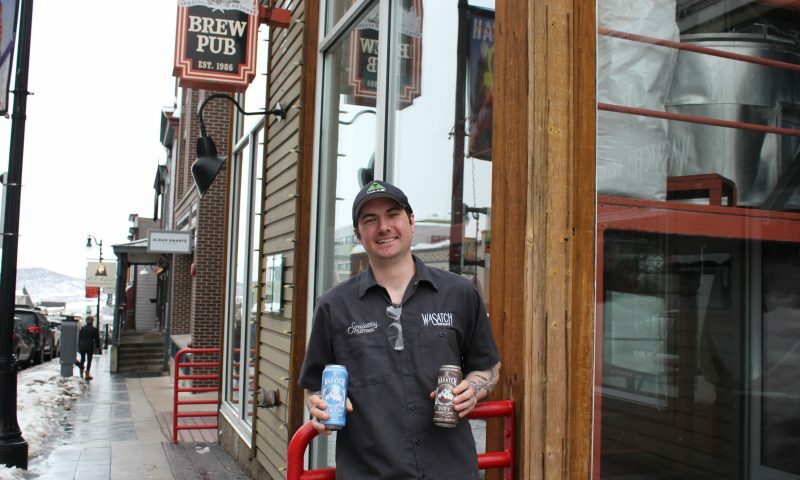 This ambitious head brewer is changing the game for one of Utah’s most iconic beer brands with his big ideas. “We’ve wanted to branch out and do a little more one-off stuff. We did get a little caught in the groove of being complacent,” Imboden admits. He understands the craft beer world. “With the growing beer-nerd culture, people are always looking for something new, looking for something that’s exclusive,” he says. This pushes him to come up with fresh ideas and resulted in the Kick-Back Series. 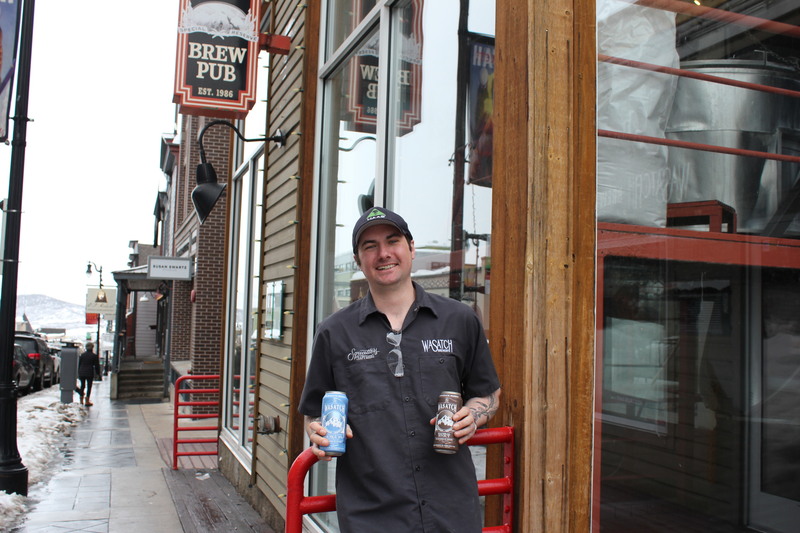 The Park City native and Head Brewer for Utah’s oldest post-Prohibition brewery could have just sat back and churned out the same beers over and over—but that isn’t how this guy works. He insisted on possessing some creative influence over future products, and one of his visions was to create a rotating set of highpoint beers, the Kick-Back Series. “There were some arguments I had to let go and some I stuck to,” Imbolden says. “I think the beer speaks for itself.” The project had been in the works for more than a year and a half, and it finally found the light of day this past February with the release of four new beers. The Kick-Back Series isn’t without a slight bit of in-vogue intrigue, as it includes the popular New England Style Double IPA. Generally known as a traditionalist who cherishes the brewing process as well as its classic roots, Imbolden nonetheless understood that throwing in a newish style like a hazy IPA was a move he needed to make: “What do people stand in line for most?” With this series, he wanted to hit all of the boxes by beginning with an Oatmeal Stout, American Craft Lager, West Coast India Pale Ale and a New England Style Double IPA. “I see what people like. You don’t get people standing in line for lagers,” Imboden says. Overall, the risk seems to have paid off, as the opening run of approximately 5,000 cans of each style has sold well. “It’s good to see how well the series has been received.” In the 15-barrel brew house, the Kick-Back Series is taking up approximately 20 percent of the volume. Wasatch is planning to have several additional styles during the year, including a dry-hopped saison, India pale lager, Oktoberfest and a schwarzbier. The hope is to have a dozen or more labels to rotate during the year. Do as Imboden says and use the free parking or pull up curbside. Leave your flashers on and run in to grab some beer to go at the original Wasatch Brewery. However, if you can’t make it up the canyon, you can find Wasatch beer at all of the Squatters and Wasatch pubs in the valley.